Saw attachment for skid steer loaders, compact tractor, mini excavators, etc. 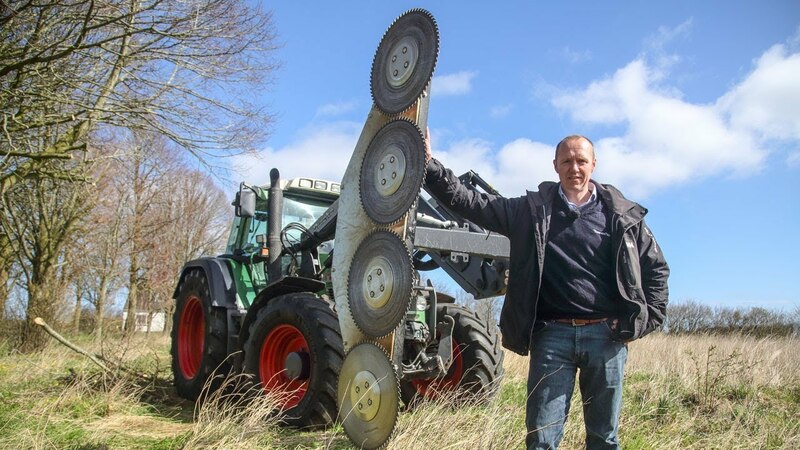 The Quadsaw LRS 1402 is a small (only 48 kg) yet powerful quadsaw with four sawblades and a working width of 1.4 m. The quadsaw is very useful in multiple sectors such as, farming, municipal and private. 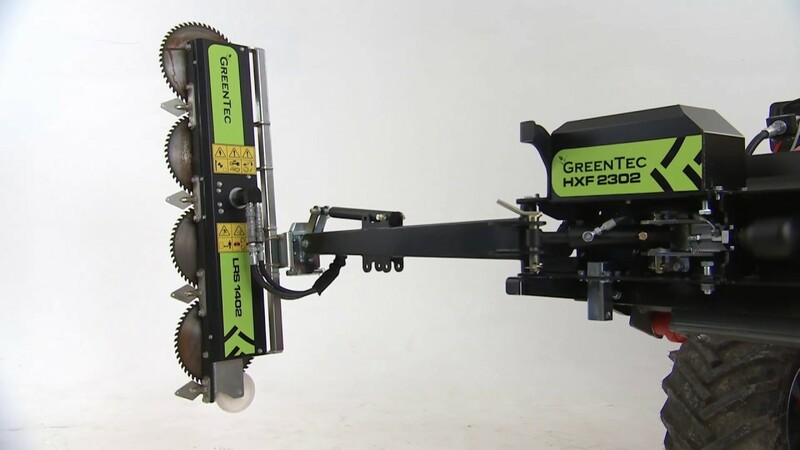 The Quadsaw LRS 1402 is known for its perfect and clean cut of both thin and thick branches (up to 10 cm). Quadsaw LRS 1402 can advantageously be fitted on reach arms for compact tractor or the Multi Carrier HXF 2302 and HXF 2802 attachment frames for skid steer loaders, front end loaders, and compact tractors. Furthermore, the Quadsaw LRS 1402 can be mounted on mini excavators through a bracket on the arm.